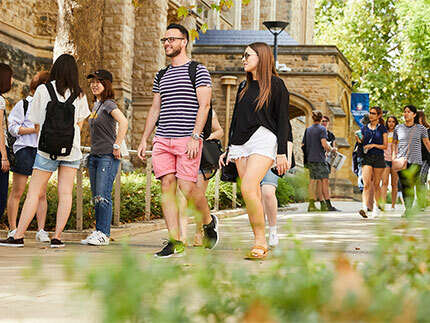 Graduations at the University of Adelaide will be even happier than usual this year, as the new, environmentally friendly air conditioning in Bonython Hall is switched on for the first time. Bonython Hall is one of South Australia's most significant buildings and is a landmark on North Terrace. It is rumoured that its location, facing Pulteney Street, was chosen to stop the streets extending further as the city progressed. It was constructed in 1933, financed by a donation from Sir John Langdon Bonython and is on the State Heritage Register. New 'displacement' air-conditioning has been installed during heritage restoration of the building this year. 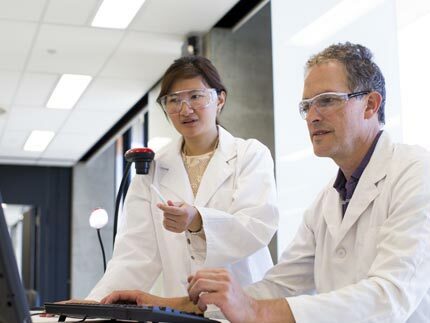 This air conditioning is the most energy-efficient way to provide improved comfort to people at floor-level within large, high-ceilinged spaces such as the Bonython Hall. Tempered, outside air, cooled to approximately 21 degrees Celcius, is introduced into the hall at very low velocities through timber grilles in the floor and steps of the dais and gallery areas. This high volume of air floods the floor level and rises as it gathers body heat and is then displaced from the hall through ceiling vents. This type of system has a low peak electrical load resulting in lower C02 emissions to the environment. Traditional air conditioning dumps very cold air at high velocities from above, cooling the entire room, rather than concentrating the cooler air in the zones that are populated. 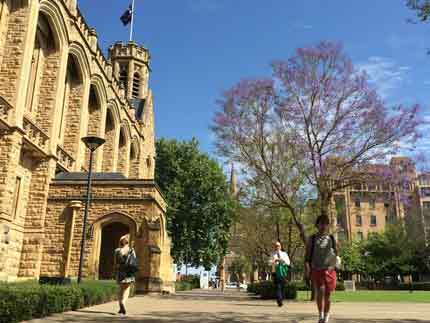 Mr Paul Duldig, Executive Director of Finance and Infrastructure of the University of Adelaide said, "The University of Adelaide is pleased to have come up with an environmental, financially sensible solution that provides a high level of comfort in Bonython Hall, where most of our major ceremonies take place. 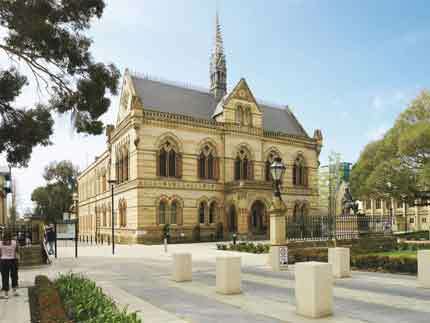 "The design of the system is also sympathetic to the heritage nature of the building, which is of major importance when you are dealing with a part of the University and, indeed, South Australia's history."